The McKenzie Law Firm specializes in estate planning, estate administration, and small business counsel. Our office is located in the Denver Tech Center, near Belleview and I-25. Dan McKenzie is a Colorado estate planning lawyer who can advise you on how to accomplish your goals while minimizing taxes, fees, and administrative burdens associated with estate administration. Our mission is to develop lifelong relationships with our clients centered around supporting their efforts to reach their financial goals, protect the results of their hard work, and develop a legacy they will be proud to pass on to future generations. We accomplish this by: * Maintaining close and regular communication with our clients to ensure that we understand their circumstances, needs, goals, and anxieties. * Implementing office management systems and technologies that enable us to deliver solutions to our clients in the most efficient and cost-effective manner possible. * Staying abreast of developments in all areas of law that bear upon estate planning, estate administration, asset protection, and business development to ensure our clients' plans will work as intended. * Developing relationships with trustworthy financial advisors, accountants, and insurance professionals who can reliably assist us with putting plans in place for our clients that identify and mitigate, to the full extent possible, all their financial risks and challenges. * Building a team of professionals who are highly competent, enjoy their work, and who take successfully addressing our clients' needs personally. * Continuing to be available as a trusted resource for our clients after we have completed their plans for them. 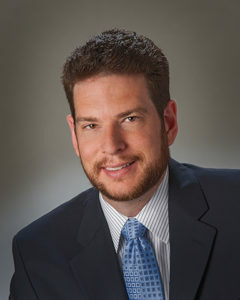 Dan McKenzie opened the McKenzie Law Firm, LLC in 2013, following 10 years of work as a trial lawyer. As a trial lawyer, Dan helped consumers who had been defrauded by unfair business practices or who had been physically injured by poorly designed and inadequately tested products. Since opening his own office, Dan's goal has been to help clients identify and mitigate their risks to the full extent possible, with the goal of avoiding expensive and time-consuming litigation.